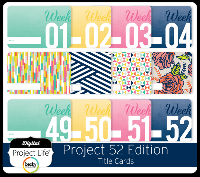 For this swap you will send your partner 10 "Project Life" journal cards (this does not have to be Project Life brand - could be any brand of journal card, please just keep to the standard sizing of project life cards). This is not profile specific, so please package early and be ready to send quickly! Cards can be 4x6" or 3x4" - just make sure there are at least 10 cards total (or more, your choice). Since there are only 10 cards this time - it should be about a 1 stamp (maybe at max would be an additional extra ounce stamp), so I will make this a type 2 swap. This will be for those with ratings 4.98 and higher. Must have 20+ type 2/3 Swaps. Must be active within 3 days of assigning partners. I reserve the right to remove anyone from the swap I feel does not/will not meet requirements. No late swaps on dashboard.